Champion Sliding Glass Patio Doors lets the beauty of the California sun shine on your new interior designs. At the same time, they will provide your customers with thermal efficiency, strength and security. Our sliding glass doors also protect against the damaging effects that UV rays can have on fabrics and carpets. 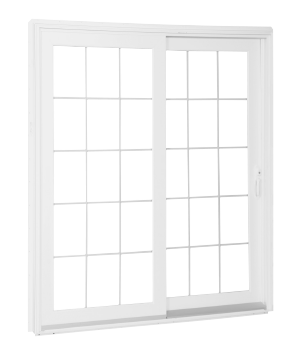 In addition, our sliding patio doors are easy to operate. Your customers can choose from two colors, one being white and the other one being almond for the vinyl frame, various grid patterns, as well as different glass packages. 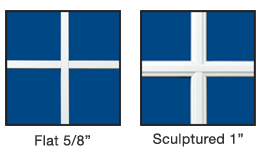 Champion can build two, three, or four-panel patio door configurations for your upcoming projects. Hardware Options: Sliding patio door handles come in vinyl matching White and Almond, and can be ordered with an optional keyed lock set.